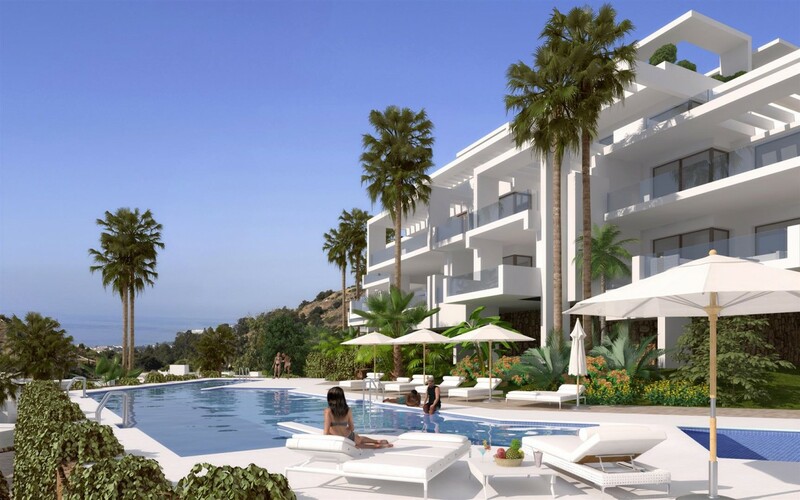 Ground floor contemporary apartment for sale close to Marbella, currently due to start construction. 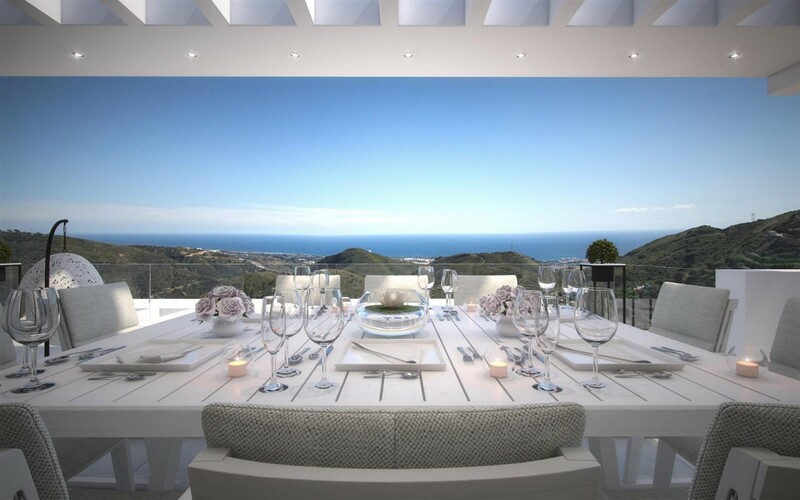 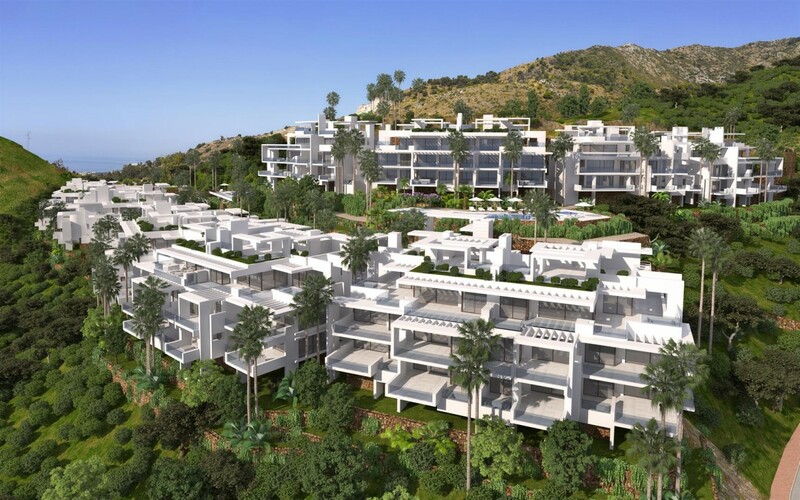 Apartments, penthouses and villas in a brand new low density development nestling in the hills just behind Marbella. 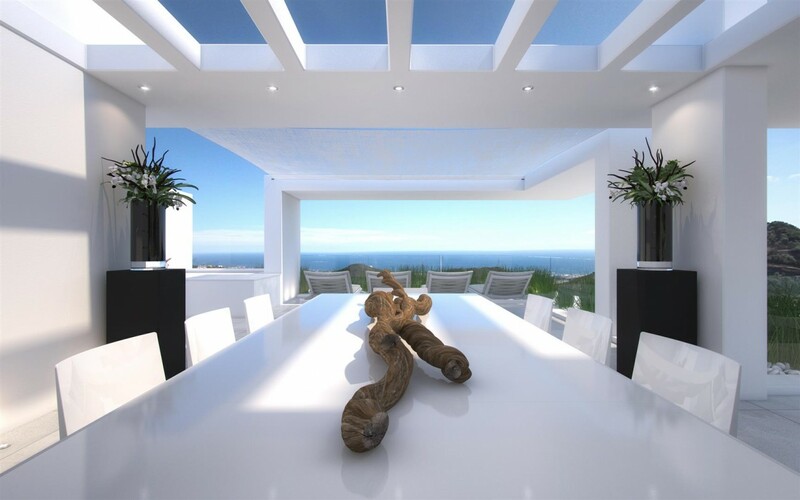 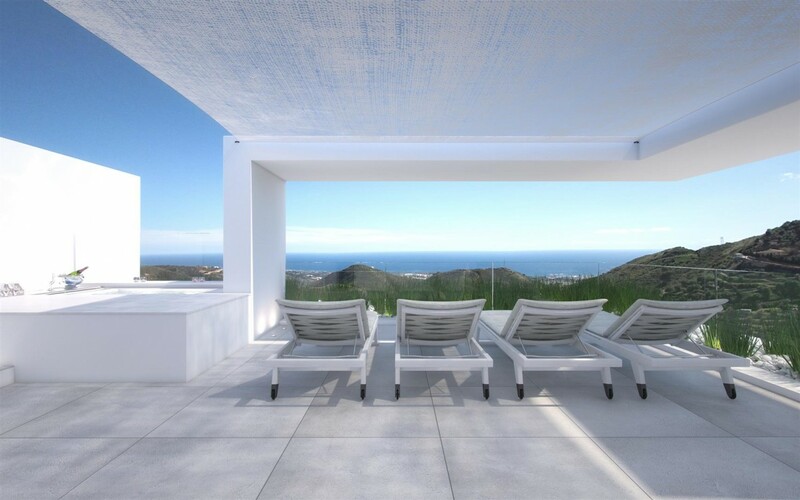 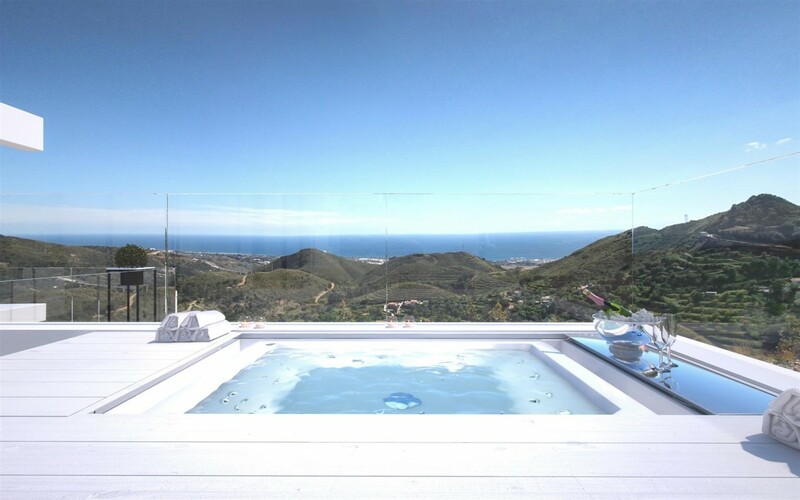 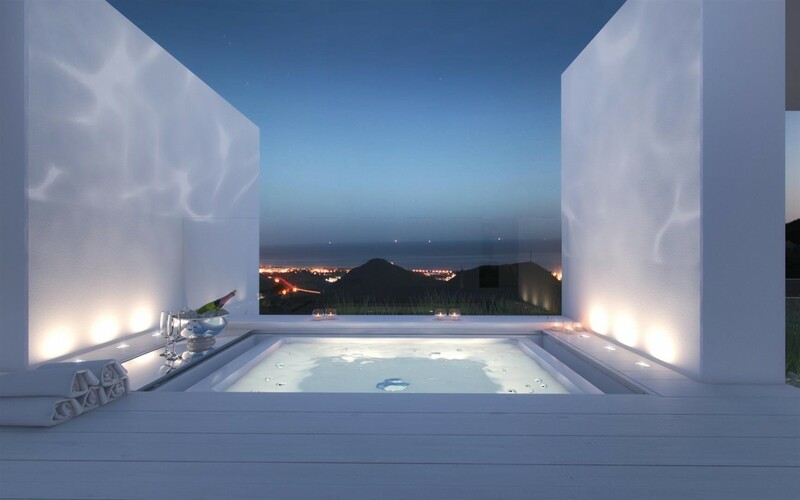 The area is tranquil and surrounded by green belt and mountains with south facing impressive panoramic views down towards Marbella and the sea. 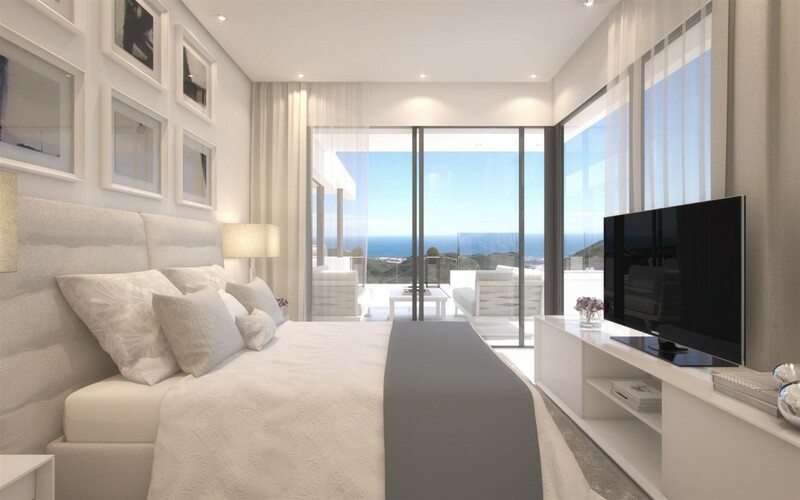 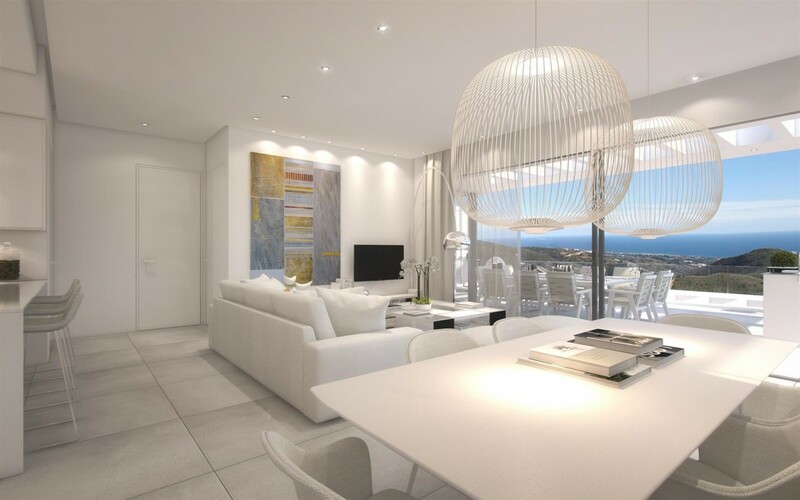 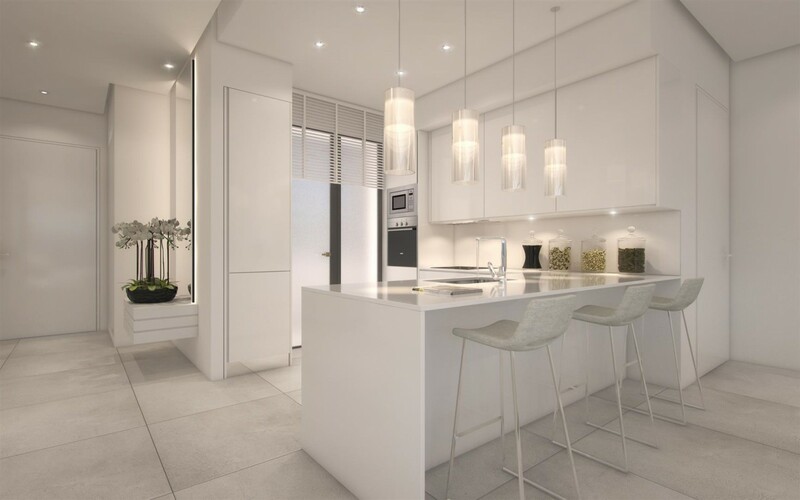 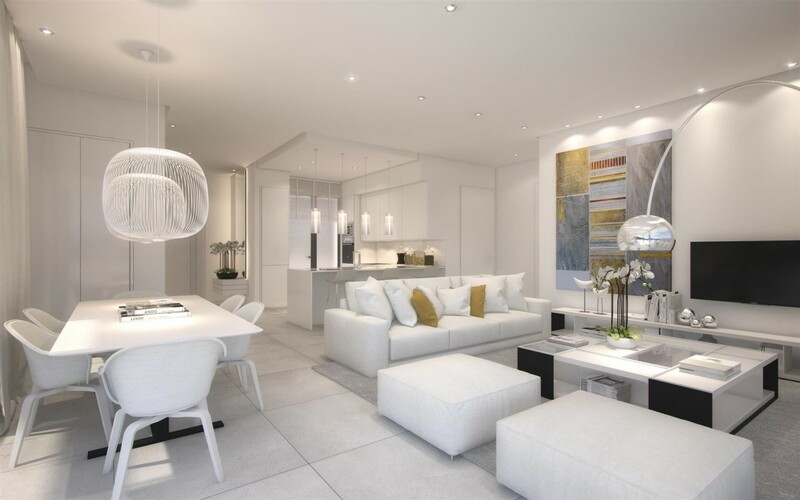 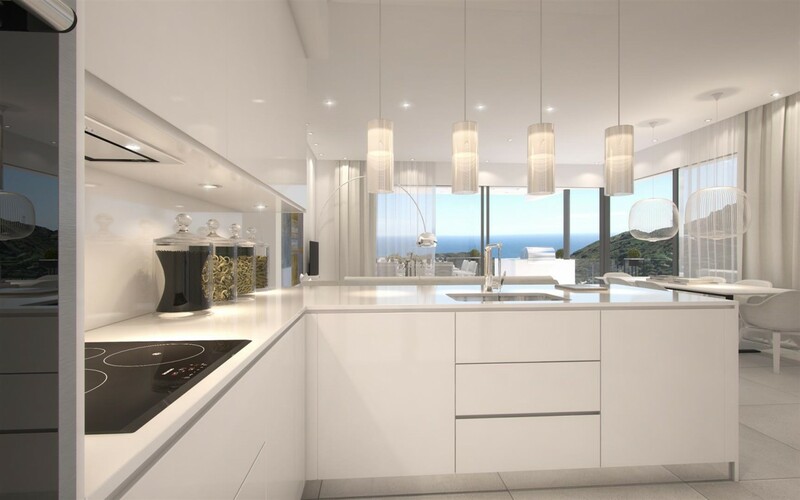 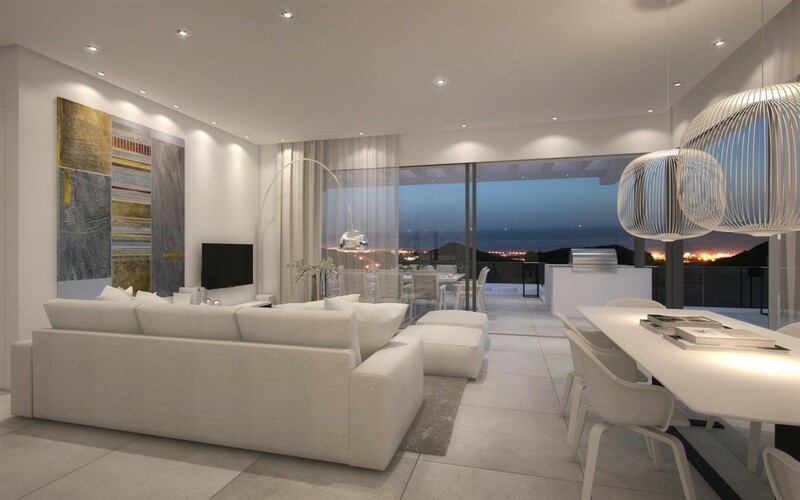 The apartment comprises: a spacious, light, open plan living room / dining area with a beautiful kitchen including high quality domestic appliances, leading out onto the south facing terrace with spectacular views of the sea and Marbella, 3 bedrooms with fitted wardrobes and 2 bathrooms. 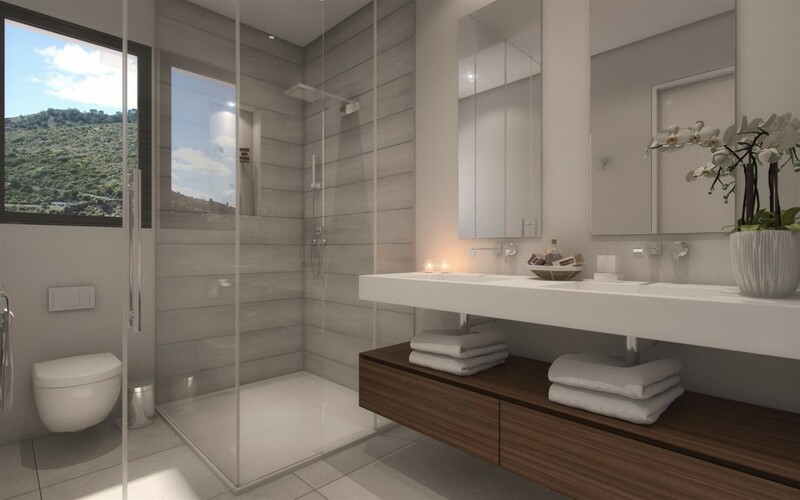 The property includes 1 parking space and a storage room and the community offers a health club with spa, gym, fitness studio and indoor pool as well as a business centre with wifi. 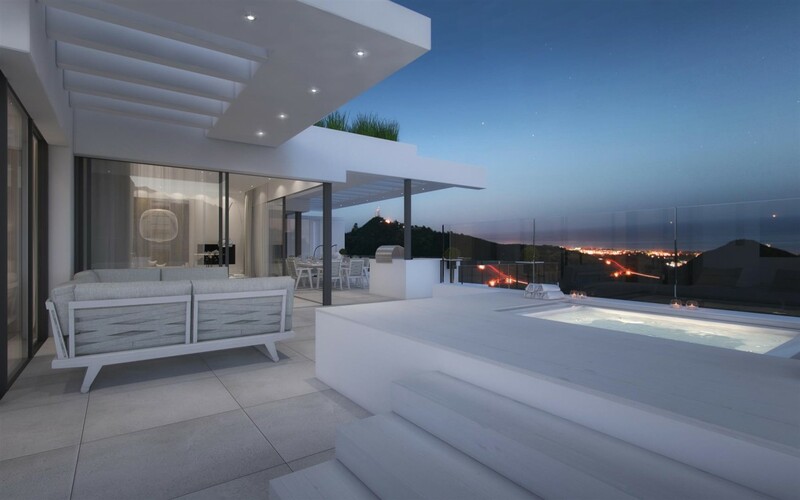 The complex will house 2 outdoor pools (including one heated) and 2 kids pools, strategically placed to enjoy the fantastic views. 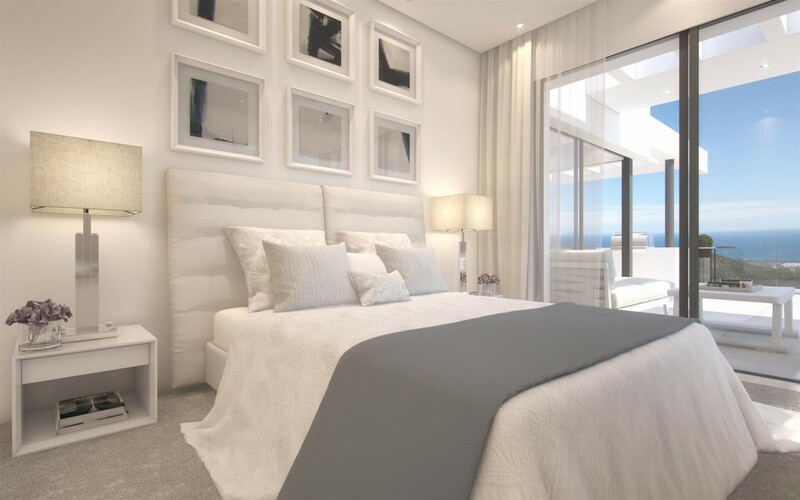 Other services include 24-hour security, concierge service and onsite rental management.